Petunias are one of the widely popular bedding flowers that mostly bloom throughout the summer. These have broad trumpet shaped flowers and branching foliage that is hairy and a little sticky. 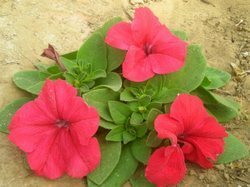 The flowers of petunias comes in numerous colors and can be ideally used as ornamental plants. F1 hybrid seeds are available. 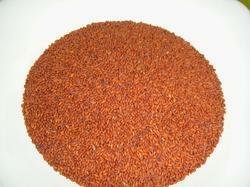 Our company has set benchmark in offering Garden Cress Seed to the clients. This product is widely used as a spice in different types of dishes as well as demanded in medical sector owing to its numerous health benefits. This product is processed in hygienic conditions in order to ensure its purity and freshness. Pack Size: 25/50 Kg PP Bags. These are the source of the indigo dye, whick is derived by steeping or fermentation of the leaves. The dye made from this Saturn plant is produced by fermentation and has been used in Asia for over 5000 years. We provide quality seeds with 90% germination. We are a renowned name that is actively committed towards offering qualitative Gomphrena Globe Thistle Seeds. Our provided Gomphrena Globe Thistle Seed is available in various packaging options for our clients. Dahlias are grown under direct sun and warm ground temperature. Dahlias start blooming after fully grown, starting from mid-July. Do not cover Dahlias with mulch or bark, otherwise sprouting could be challenging. We are offering Seeds And Planting Material. We also provide high quality seeds which are best hybrids in the specific to the best characters of the vegetables and flowers available in its class. We are engaged in supplying a wide variety of seeds and planting material for almost all the herbs, spices and other plants we are dealing with.